NBC announced today that True Blood’s Stephen Moyer has been cast in their 3 hour live holiday production of The Sound of Music, airing on Thursday, Dec. 5. 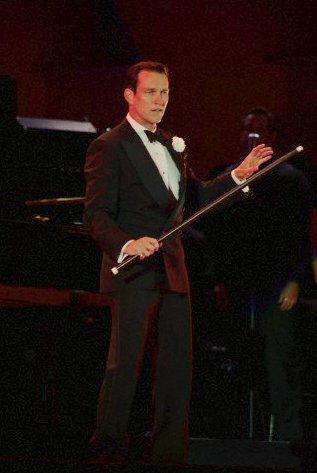 Recently, Stephen appeared in the Hollywood Bowl’s production of “Chicago,” as Billy Flynn, so we think he must have gotten the “itch” to once again, get back into his roots of musical theater. We also saw a fan photo of Stephen and Anna recently in London after attending a performance of “The Sound of Music;” now we know why he went. Stephen will play the lead role of World War I hero Capt. Georg Von Trapp, the single father of seven who falls in love with Maria, the woman he hired to take care of his children. American Idol alum and country music superstar Carrie Underwood is set to play Maria, a part made famous by Tony-winner Mary Martin in 1959 and Julie Andrews in the 1965 film version. NBC is partnering with Smash’s producing team of Craig Zadan and Neil Meron for their Sound of Music special. Wonderful news! Congratulations to Stephen. He is perfect for Captain Von Trapp!!! Great news, I will be watching! The holiday season just got merrier. I’m looking forward to watching him in this production. good for Stephen, he should be wonderful in that role. I’m so happy for him, this is another step in his career, but of course I want him to be on TB for as long as the show lasts. It was so great to see him in “Chicago” and now in “Sound of Music ” live on TV! I’m so happy. Great news thanks for sharing it. Wow! This is great news! I love that movie and I can’t wait to see this production with Stephen and Carrie Underwood. Exciting news! I know he will be wonderful in this. And we will get to hear him sing again!